Fully automated license plate recognition – every license plate in sight! The management of entry and exit areas is a time-consuming and labor-intensive task for many freight forwarders. At peak times, this can easily lead to traffic jams at the entrance. Systems for automatic license plate recognition open up a lot of potential for a more efficient handling of the entry and exit. 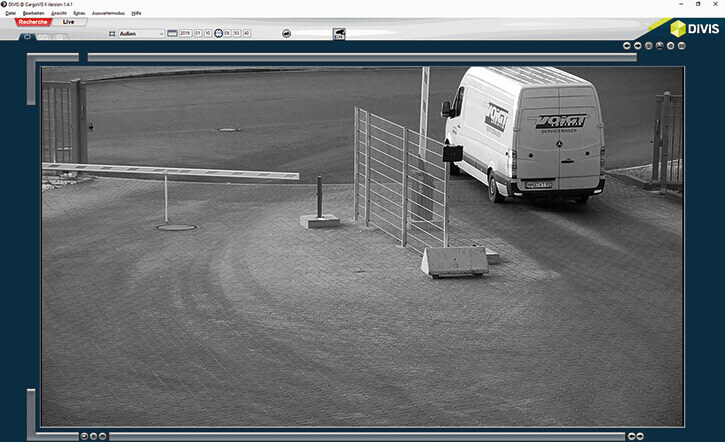 Automatic license plate recognition offers a number of advantages and helps logistics companies to specifically control and optimize processes in yard and access management. In addition to the entry and exit control the stored data can be used for the control of vehicle movements on the yard, so for example checked-in trucks can approach certain loading zones directly. In close and friendly customer dialogue, we continuously develop innovative solutions to further optimize our logistics applications and adapt them to different requirements. We take the dialogue with our customers quite literally. For example, in 2018, as part of our customer event "Kieler Daag", the first concrete approaches for optimizing video surveillance in logistics facilities were worked out in a workshop together with the interested participants. At the event, a lot of creative input was exchanged and we got a good insight into the wishes and needs of our customers. Subsequently, a very popular workshop topic, the automatic license plate recognition, had immediately been picked up and further developed by the software specialists at DIVIS. The result will be presented in the form of our new Plus+ function for CargoVIS, License Plate+, at the LogiMAT in Stuttgart in February. In this article you will find some advance information about the new solution for database-supported license plate recognition. 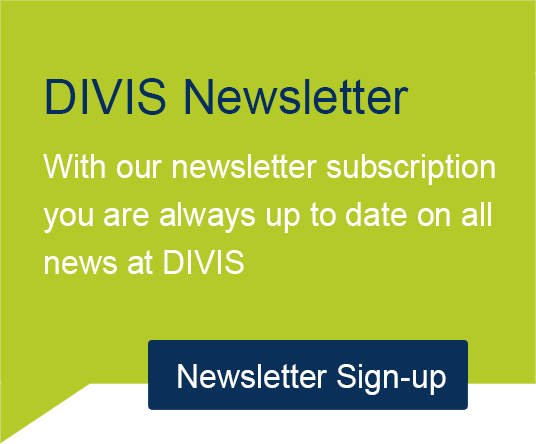 Technologies to be integrated into the DIVIS solutions undergo careful testing to ensure that the technology is state-of-the-art and to ensure robustness and reliability of the components. As a fitting model for the new license plate recognition application, a Hanwha flagship camera has qualified in our selection process. This is a FullHD camera from the powerful X series with an automatic 5.2 - 62.4mm lens, safely housed in a weatherproof housing with protection class IP67. The camera is able to recognize all European license plates (EU, CIS, Israel, Turkey). It also has a reading accuracy of over 95%. In the first step, the camera was installed and tested locally at our premises in Bordesholm. The convincing results led to phase two, an integration into our system as part of a pilot installation. The camera was initially integrated for the purpose of pure license plate recognition. This means that the license plates are read by the camera and stored in the DIVIS system via our application. Subsequently, the data can be accessed via the CargoVIS software and, for example, the time of the license plate registration can be checked. In addition, the image data for the license plates can be activated directly in the software. We support our customers throughout the introduction of the new system for automatic license plate recognition in entry and exit areas. Further functionalities of the system, such as the provision of statistics or the control of access gates, can be further developed in cooperation with customers. Extensions for yard management are also being considered and discussed by our developers. Are you looking for video surveillance with thermal imaging technology? In this article we introduce our Plus+ function Motion Alarm+ with thermal imaging cameras.